Form No. 1-100 - 17.11.11. Sent date 15 APR 1912. No. OLYMPIC, Office of Origin OLYMPIC. Service Instructions : SENT VIA SABLE ISLAND AT 5.20 am EST. To : OPERATOR CAPE RACE. 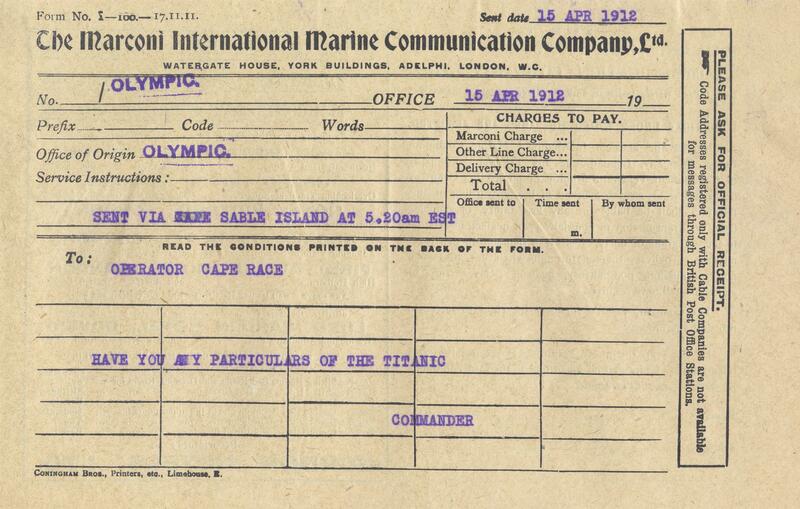 HAVE YOU ANY PARTICULARS OT THE TITANIC. COMMANDER.